Flame on with this job! This paint design has a deep jet black under-base that has our signature realistic flames layered on top of it. 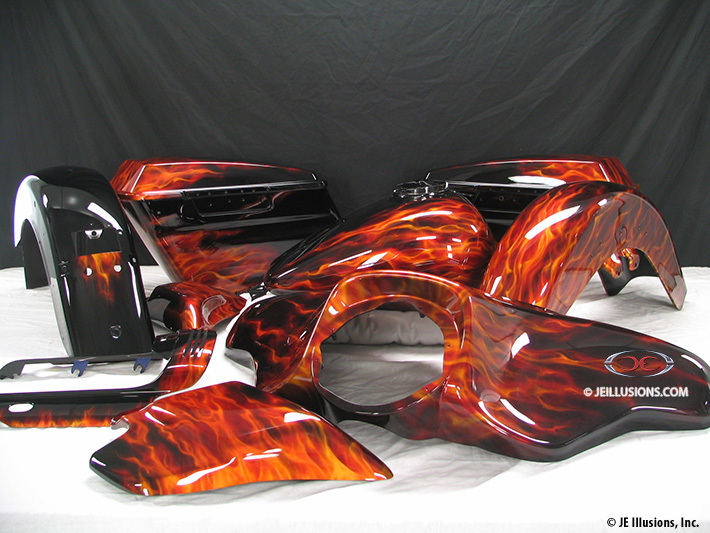 The flames were added to create an effect of fanning out across the bike, from the front fender cowl, around the tanks. 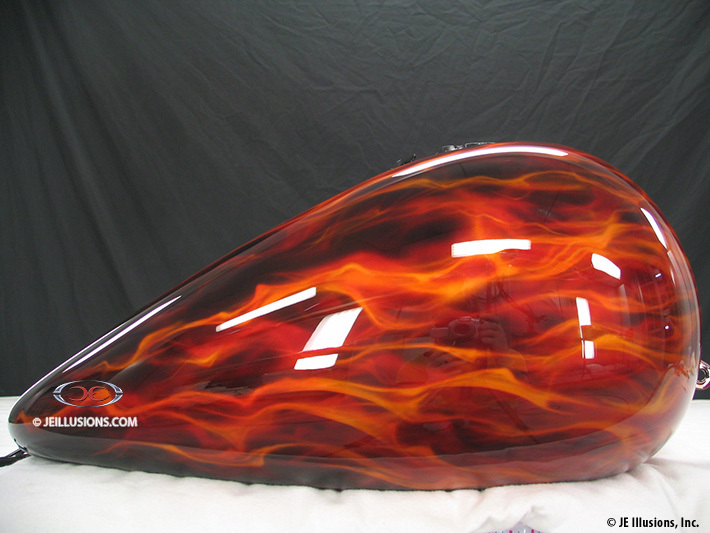 A little less on the baggers and just a touch of flames on the back fender. The flames are done in a combination of ultra-orange and yellow and then are meticulously hand air-brushed on in layers to create such a striking effect. Adding our coating process makes the colors very vivid and deep looking.